Cooke, Thomas Potter (1786-1864): Sailed (under age) on board the sloop HMS Raven to Toulon and was present at the battle of Cape St. Vincent in 1797. 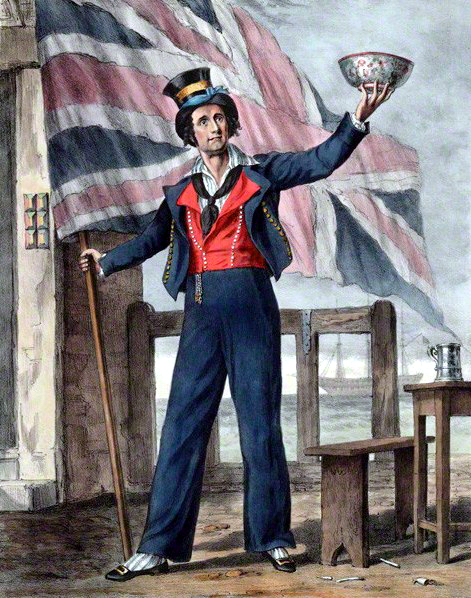 In 1804, Cooke made his stage début at the Royalty Theatre, and, when Yates and Terry took over the Adelphi in 1825, he played Long John Coffin in The Pilot. Eventually, he would appear at the Adelphi for twelve seasons. In 1828–9, Cooke played in Luke the Labourer, The Pilot, and Presumptive Evidence.